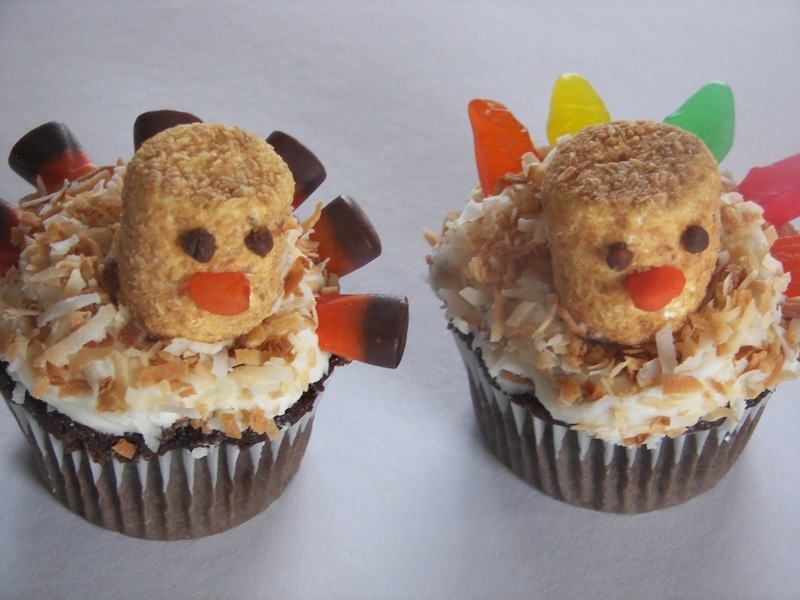 Your little gobblers will gobble up these cupcakes or they might even help you make them. 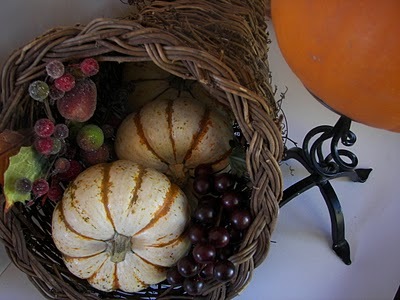 They would be fun for the kids to make Thanksgiving morning before the guests arrive. You can either make the tail feathers with candy corn or Swedish fish; I like them both. I adapted this idea from a 2003 Martha Steware magazine for Kids. 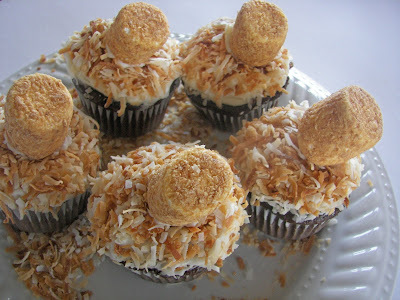 Butter Cream Frosting -- your favorite recipe or canned frostingToasted Coconut -- See note below. Swedish Fish or Candy Corns -- You will need five or six per turkey. You will need some orange Swedish Fish for their mouths. I used the brown part of the Candy Corn to make the eyes -- you could pipe it or use brown jimmies. 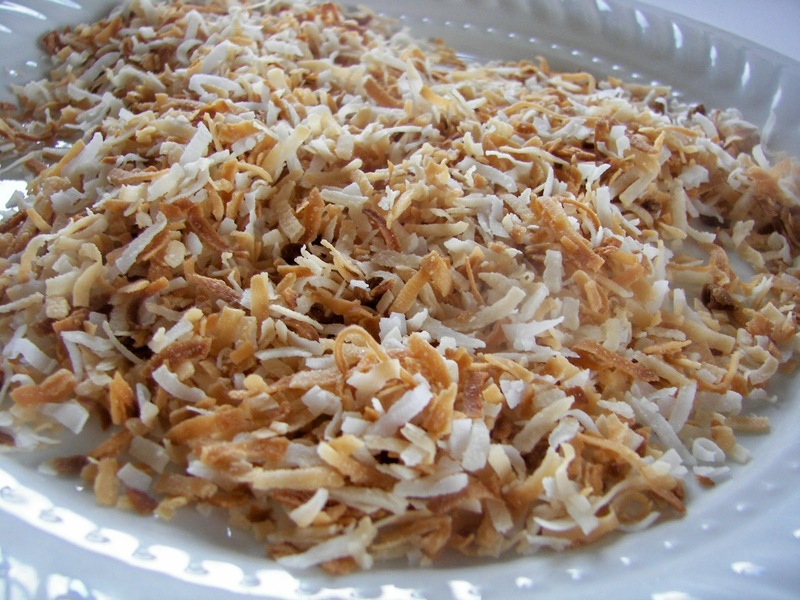 Notes: To toast coconut, place desired amount on jelly roll pan in a 350 degree oven. 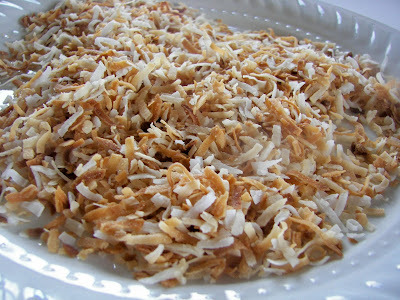 Toast for about 10 minutes and occasionally bring the coconut from the outer edges to the center of the pan. The outer edges have a tendancy to toast in less time. Watch carefully as coconut can burn easily. 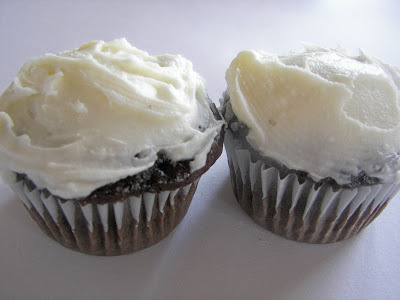 Frost the cupcakes with Buttercream Frosting. Roll frosted cupcakes in buttercream frosting. 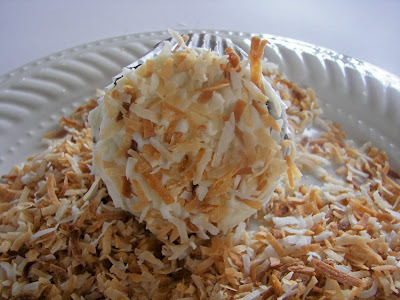 If necessary, press down coconut into frosting so it sticks to the frosting. Attach one marshmallow to each cupcake by spreading a little Buttercream frosting on the bottom of the marshmallow and pressing the marshmallow into each cupcake. 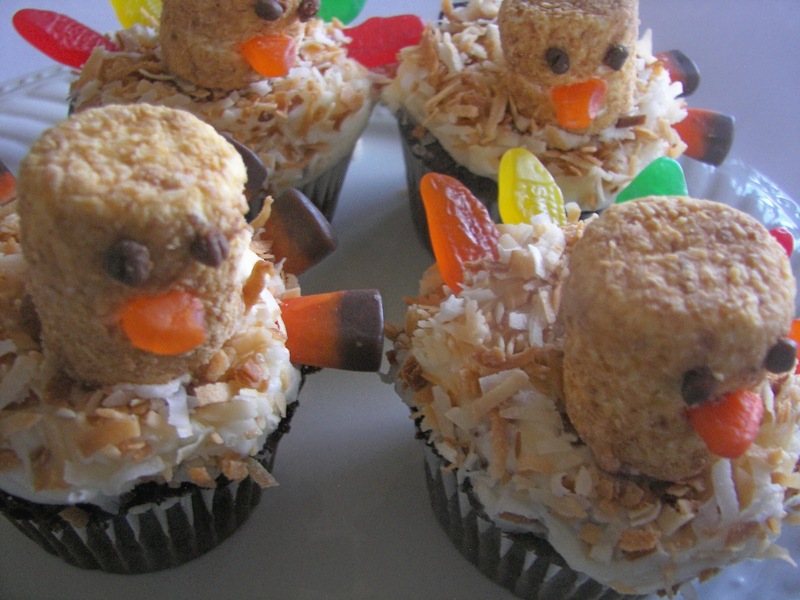 Attach tail feathers by just pushing the candy into the cupcake. Either use Candy Corn or Swedish Fish for the tail feathers. Cut a triangle-shaped Swedish Fish for the mouth of the turkey. Either pipe brown frosting for eyes or use chocolate jimmies attached with frosting for eyes. I used the brown part of the candy corn rolled into little balls and attached the eyes with frosting. Here is my rafter of turkeys. Create some cooking memories with your children or your grands by making these turkey cupcakes. I made these with my Activity Day girls. They turned out fine except that some of them didn't like coconut, but they all liked the cupcakes. One little girl ate FOUR cupcakes! Oops, I hope the cupcakes didn't spoil her dinner! Today, I am thankful for my family. I am thankful for my husband who accepts me and loves me with all my faults. I am thankful to my husband for working hard and supporting our family. I am thankful for my children who bring joy into my life. Because of our children, my life has become much broader and richer. They are fun to be around, they are positive, and they have a lot of enthusiasm for life! Thank you for dropping by the Red Couch! Joni, your cupcakes are precious! Wish I had some little gobblers close by to make them for. I am sad my grandkids will be visiting their other grandparents this year! I will keep this idea tucked away for another time. I would be a super super extra extra large size if I cooked as much as you do. These are adorable!! The turkey wreath looks and sounds sooo yummy!! How cute!!! I'm saving this for next year since my Mack isn't into desserts yet. He wouldn't even eat his 1st birthday cake! Cute cupcakes! What fun to have these for children young and old. So cute Joni! I think they would be great with a little placecard attached too. My grands are all heading to their other grandparents this year :( and I'm going to be packing up my house. It doesn't make for our most fun Thanksgiving, but we are grateful for all our blessings and the fact that soon we will be moved closer to our kids and grands. Have a happy one. What cute cupcakes. Love them. Thanks for the instructions. Those really are just adorable; my kids would love them! Joni, Your cupcakes are simply adorable! You have such great ideas in the kitchen. I love coming to visit. Hope you have a great Thanksgiving. Those cupcakes are so cute! Thanks for sharing your tutorial....we'll definitely be making these the night before Thanksgiving. Glad to have found your blog. The cupcakes are so cute. That is perfect for birthday party. Tomorrow is birthday of my daughter and I think I should make some of these cookies. For sure she will surprise for what I’ve done for her birthday. Thanks for sharing. This is the first year I am not making my turkey cupcakes (I use nutter butters and fruit leather)...I am kind of sad...I guess I have some time to pull a few off! Adorable. Such cute cupcakes! Love the toasted coconut! These are just adorable. It looks like a really fun project for kids to do (and adults as well). I love the idea of your cupcakes. I hope that you can add more designs for Christmas Eve. Thanks for sharing these cupcakes of yours.